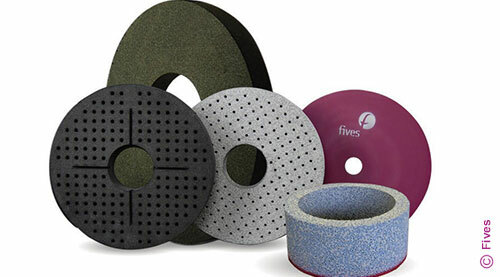 Fives is an industry leader with its custom formulated Gardner ceramic, aluminum oxide, silicon carbide, and hybrid abrasive grinding wheels. 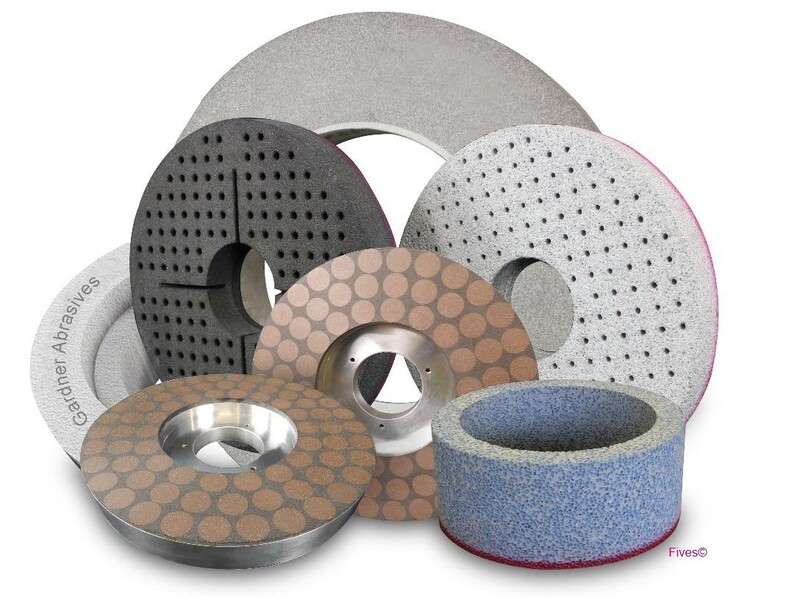 Fives offers abrasive grinding wheels that are available in various bond types and designed using decades of abrasive application and processing experience to satisfy the clients’ particular requirements. Aluminum oxide grains are classified as friable, semi-friable, tough or very tough. Aluminum oxide grains are best suited for grinding steel and similar high tensile strength materials. Silicon carbide grains are classified as regular or sharp. This type of grain is best suited for grinding cast iron, nonferrous and similar low tensile strength materials. Ceramic grains are the most friable of the aluminum oxides, having many micro-fracture points. These grains are best used on hardened materials 45 Rockwell C and harder. Although higher in price than regular aluminum oxide, they may justify the cost with longer wheel life and reduced down time due to little or no dressing.